These days Black Hops is one of Australia’s highest rated and fastest growing breweries. We distribute beer to over 300 venues in QLD and NSW and we are just getting started. With 14 full time staff members, we believe we have the best team in the industry. All of us have a great work ethic and are passionate about craft beer and the Black Hops brand. When we hire people we are looking for great members of our exceptional team, not just good candidates for the role. We are currently looking to expand our sales team due to an increase in production capacity. 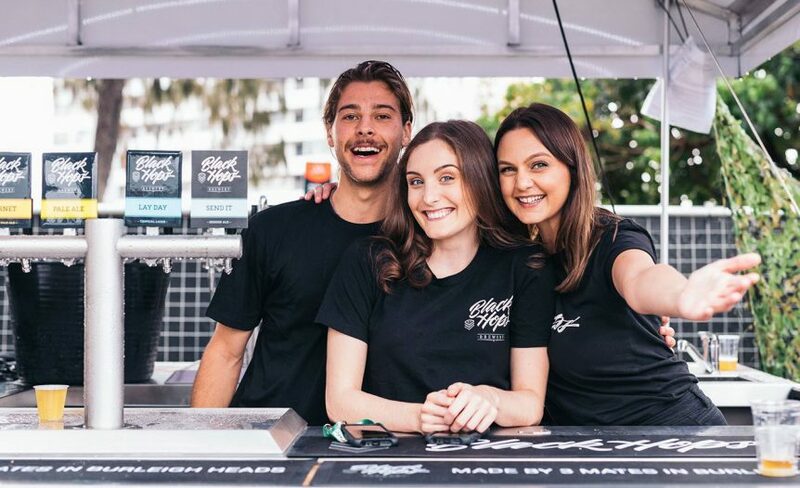 As the Brisbane / Sunshine Coast Sales Rep with Black Hops, you will be inheriting a thriving territory and one of the fastest growing areas for our brand. You will be responsible for managing your own customer base to maintain and build relationships as well as acquiring new business for continued growth. We have built an incredible venue and brand in Burleigh Heads on the Gold Coast, and are looking forward to expanding our production into a second, bigger, location on the northern end of the Gold Coast. We currently have a small sales team and with this there is a lot of potential for future growth. We work hard, but we encourage flexibility within the workplace and autonomous working conditions. As far as tangible perks go, each Black Hops employee has a monthly allowance to redeem on fresh beer or merchandise. When you work for Black Hops, you are joining an incredible team, you are not just another cog in the wheel. We are looking for a gun Sales Rep, someone who chases targets and smashes them out of the park. The right person for this role is incredibly self motivated, exceptionally organised and have second-to-none communication and negotiation skills. Dependability is an attribute we expect, we need to know we are hiring someone who our customers and company can depend upon. A passion for the craft beer industry is a must, our industry and business is thriving and our Sales Reps are representing our brand and the footprint we are forging in Australian craft beer. A competitive package will be negotiated with the best candidate.